Recent inspections have found large cracks in the asphalt surface of the skate park which will need to be repaired before it can be opened. Estimates are being obtained from contractors to perform the work which will hopefully begin in mid-to-late April. A sign has been posted at the entrance to the skate park advising of the reason for the closure. No one is allowed inside the fenced in area of the skate park while it is closed. Anyone found inside the skate park wile it is closed will be subject to fine and arrest for trespassing. 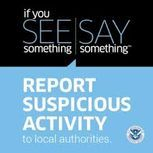 Callers may remain anonymous and can report any suspicions or illegal activity by calling the Braidwood Police Department at (815)458-2341 or by dialing 9-1-1 in an emergency situation. Attorney: Kathleen Elliott, Law Offices of Robbins Schwartz. 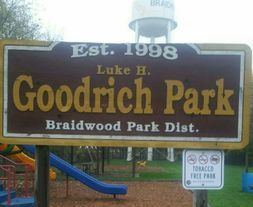 To contact any of the Park District board members listed above via email, simply send an email to braidwoodparkdistrict@yahoo.com and it will be given to the addressed Commissioner. Speed Bumps Installed: A double set of speed bumps have been installed at the 2nd Street entrance to the park. Please DRIVE SLOWLY and WATCH FOR PEDESTRIANS. Please do not move picnic tables located under the pavilions unless authorized to do so. Also, do not ride bicycles or skate board on picnic table tops or seats. This causes damage to the tables structure. All Braidwood Park District grounds close at Dark. No Loitering on park grounds after dark. Gates at Second street entrance close at 8:30p.m. All vehicles must be out of the parking lots by 8:30p.m. Vehicles entering park grounds are subject to random and unannounced free-air search by police K-9 units. Offenders subject to fine, arrest and possible ejection from park property. Offending vehicles subject to police impound. Posted 9/15/09: Dogs are not allowed in the Lions Kiddie Park located on North Lincoln Street. Several complaints have been made regarding dog owners allowing their dogs to defecate and/or urinate in or around the playground area and equipment. The Lions Kiddie park is a designated children's play area and dog waste can pose a health and safety risk to children who frequent the Lions Kiddie Park. A sign has been posted at the entrance to this park. Anyone who is found walking their dog inside this park will be asked to leave the grounds. Dog owners may walk their dog(s) in the Old Smokey City park as long as their dog(s) are leashed and any waste which is produced from their dog(s) is picked up and disposed of in a trash can. The Braidwood Park District makes no representations or warranties as to the suitability of this information for your particular purpose, and that to the extent you use or implement this information, you so do at your own risk. The information provided here within is solely for your own use and cannot be sold. Neither the Board Members of the Braidwood Park District, the officers, employees nor agents of the Braidwood Park District, warrant the accuracy or timeliness of any information provided and, they are not responsible for information contained in third party hyper links. The Braidwood Park District provides this website as a public service. Users of this website are responsible for checking the accuracy, completeness, content, currency, suitability, and timeliness of all information. The Braidwood Park District makes no representations, guarantees, or warranties, expressed or implied, as to the accuracy, completeness, content, currency, suitability, or timeliness of the information provided via this website. The Braidwood Park District specifically disclaims any and all liability for any claims or damages that may result from providing the website or the information it contains, including any websites maintained by third parties and linked to this website.